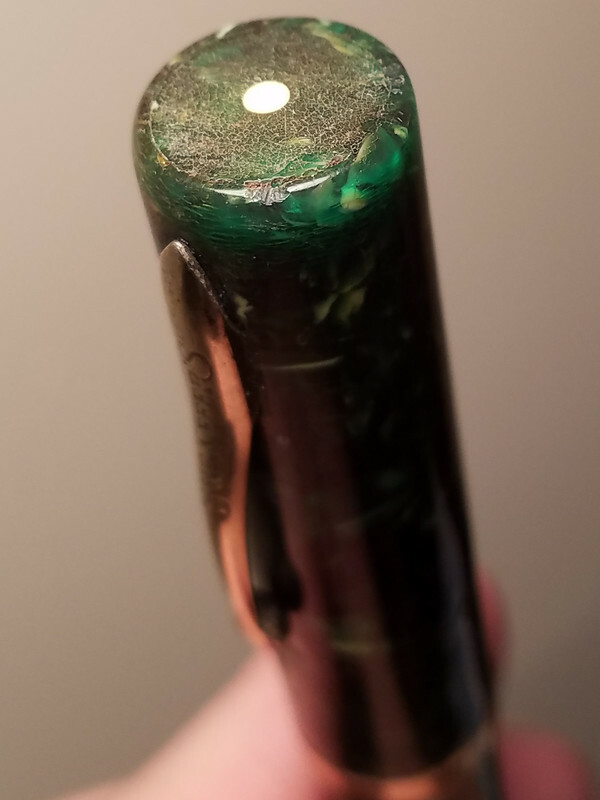 Late model Sheaffer Flat Top from the mid-1930s - radius clip, dark jade celluloid, 1930s-style comb feed. Very large pen - comparable to the Oversize Balance in size. Large 14k gold Sheaffer's Lifetime Nib. Firm fine nib. 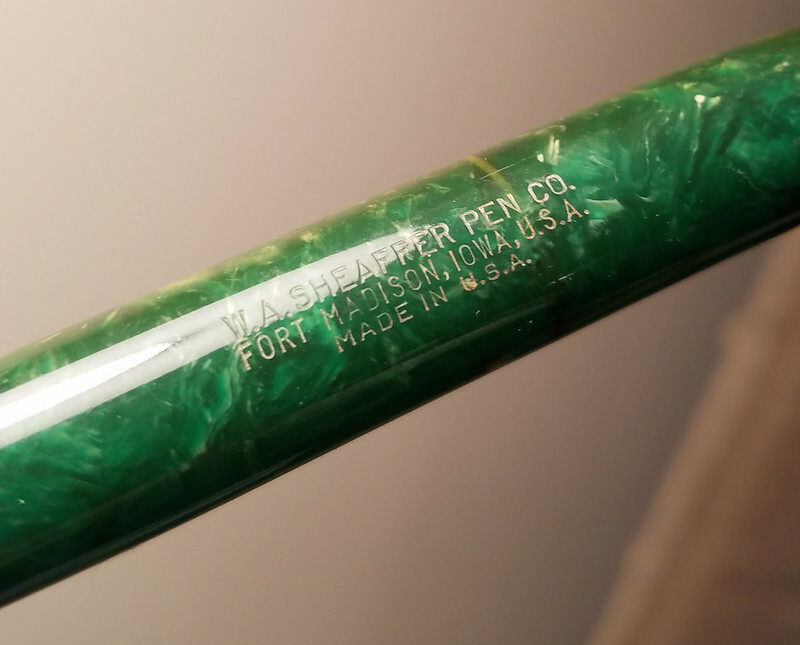 User grade pen overall - decent color on barrel with some discoloration on one side. Some dings and scratches but still a usable pen. Cap is worse color-wise and has darkened quite a bit more. Some age/deterioration on the cap and cap lip, but does not appear broken off anywhere. Cap threads onto barrel quite tightly. Pen was a rescue that wasn't working when arrived. Pen has been cleaned and has received a new silicone (not PVC) sac from Nishimura production. An interesting, rather late flat top in a very large size, and one you can take to work without having to worry about carrying a pristine jade celluloid pen. $55 shipped in the lower 48 US states.